Abstract: This is a draft. 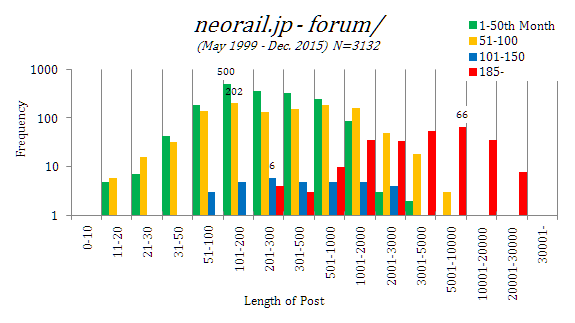 There is a forum (BBS on the Internet) in http://atos.neorail.jp/atos3/forum/ (in Japanese). 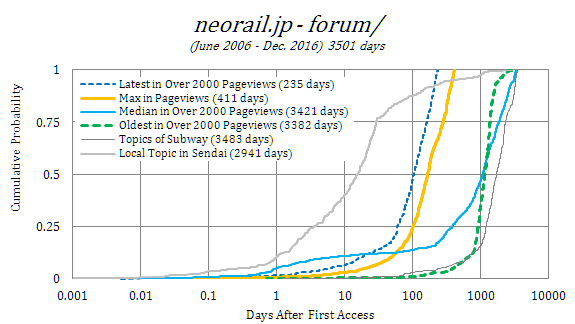 This forum opened in May 1999 and still continues. 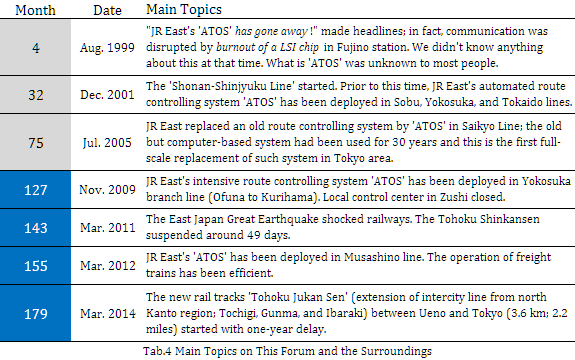 Many varieties of topics about computer-based systems and services in railways around Tokyo have been on track, it has attracted many students of engineering or informatics. 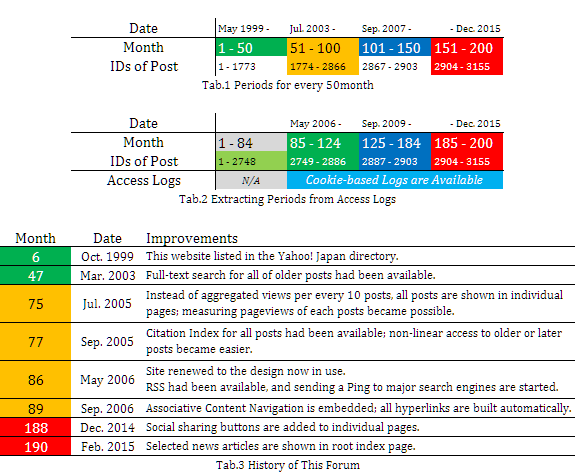 In reading this report, we describe characteristics of articles posted within just 200 months, and we contrast between bibliometric indices of 3,132 posts and actual access logs by 146,422 unique visitors in latest 3,501 days. 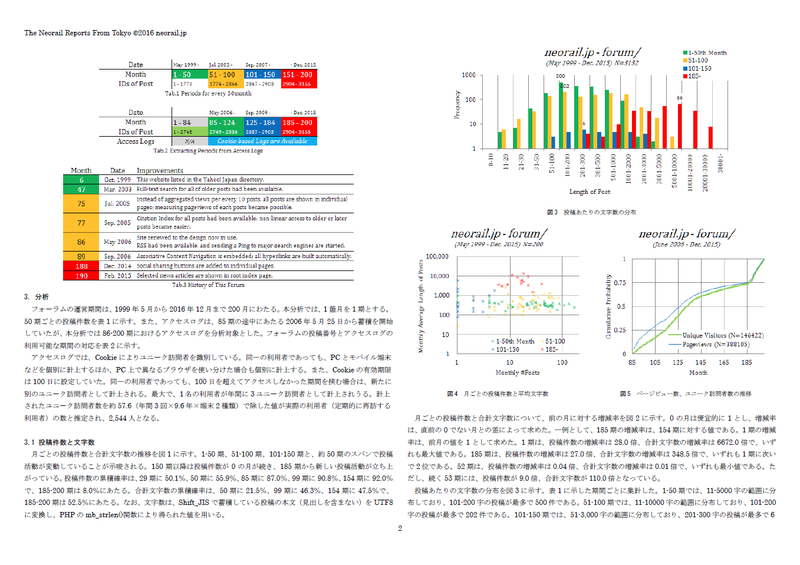 Sponsored by: This report is not sponsored.